No wonder so many polar bear lovers have such a false impression of the status of polar bears worldwide: here yet another journalist (Peter Kuitenbrouwer) either confuses predictions of steep declines that might occur decades from now with the current population status — or he confuses a reported decline of one regional population with a global decline. Regular readers here know this by now but let me state it again: polar bear numbers are not declining worldwide, in fact they are increasing overall. One single subpopulation, Western Hudson Bay, may have declined slightly in recent years but its current status is mired in controversy because much of the data collected has not been published. The Stanley Park Zoo was free in those days, as were many museums, but few such attractions are without an admission charge today. The account quoted from below speaks to the draw of that free polar bear exhibit at the Stanley Park Zoo. Think of the money those crowds would generate with a price on each head! 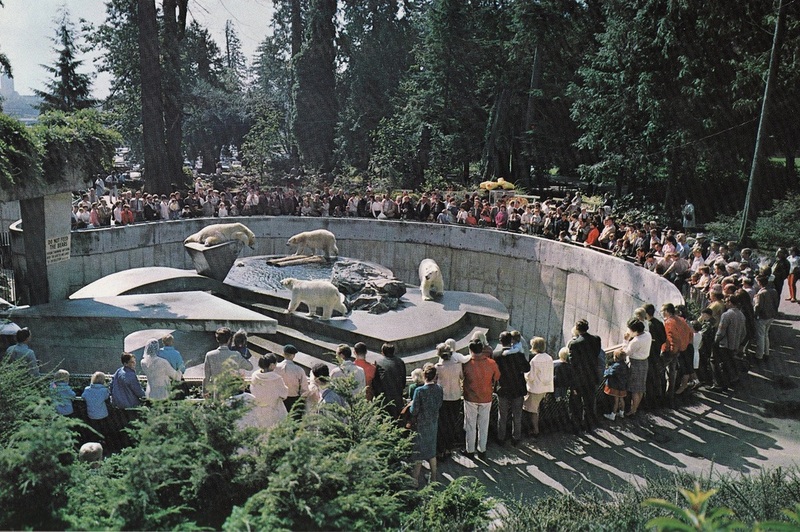 “After the Hudson’s Bay Company donated four polar bears to the zoo in 1962, these displays quickly became the most popular attraction at the zoo. Vancouver schoolchildren were allowed to choose names for Stanley Park’s newest residents, and they decided on Nootka, Jubilee II, and Prince & Princess Rupert. “Tuk, the longest-lived polar bear on record, was yellow [from algae in the water] when he rescued a kitten from his moat at the Stanley Park Zoo in Vancouver in 1983, and was still yellow when he died on December 9, 1997, at age 37, having long outlived the defunct zoo itself. 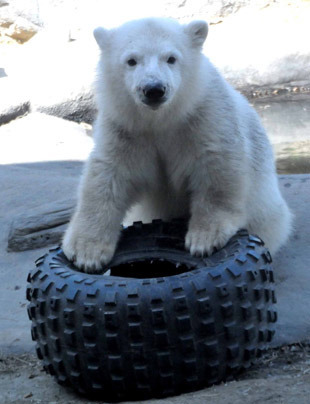 Or did I simply miss the strident protests by polar bear-loving activist organizations like Greenpeace, WWF and Polar Bears International against both the Toronto Zoo and the Assiniboine Park Zoo for keeping and breeding polar bears in captivity? Send me the links if you find reports of such protests, I’ll post them here. This entry was posted in Advocacy, Population and tagged animal activists, Assiniboine Park Zoo, captive breeding, captivity, Hudson, polar bear, polar bear births, polar bear cubs, polar bears in winter, pregnancy, Stanley Park Zoo, Toronto Zoo. Bookmark the permalink.